North Auburn, the census designated place(CDP) in the Placer County, is situated in the state of California. 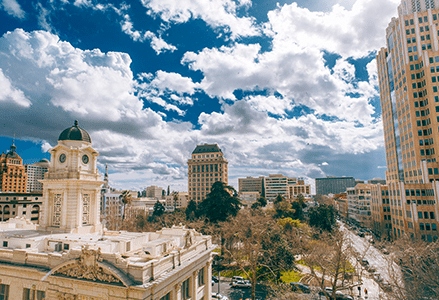 Being part of the Sacramento–Arden-Arcade–Roseville Metropolitan Statistical Region, it houses a population of about 13,022. With about 72.4% Caucasian, 20.3% Hispanic, 3% Asian and 0.9 African American people, this pace is known to house a large and scattered amount of homeless population. With about 61% of the population living in self-owned homes and a high median income, the crime rate in this town is on the rise. If you live in North Auburn, and have fallen victim to substance abuse don’t hesitate to seek treatment. There are enormous resources in at your disposal. The main cause of the influx of drugs has been attributed to the town’s proximity with the big cities like Sacramento but the ever growing population of homeless people in the community is considered an equal contributor. Residents of North Auburn have been forthcoming about their eyewitness accounts of the homeless ‘injecting drugs’ such as heroine and cocaine on the streets and their space of living. Residents have deduced that the homeless are grappling with mental illness and thus, have been pushed towards drug use. The police of the area has been looking into the matter and removing the user’s faction of the homeless from the streets. Though the community has been very strongly advocating for helping these homeless by providing comfortable shelter homes and jobs, but there are many who want the homeless completely out of North Auburn. Apart from the homeless, a flood of drugs has been coming in due to the presence of the drug cartels who reportedly seem to be using the nonchalant outlook of the town to store their commodities. Drug and alcohol use continue to be significant concerns for North Auburn residents. The good news is, no matter where you live, help is available for overcoming addiction and improving your life. Find substance abuse treatment in Sacramento easily by giving us a call. Health provisions in North Auburn cater to all the health needs along with drug addiction. But in terms of a highly specialized residential care center, one needs to look a little outside his/her town. Specialized addiction centers for drugs and alcohol are placed less than one mile away from North Auburn and can be easily accessed by the townsfolk. But North Auburn is very diligent in hosting several group supporting meetings such as Alcoholics Anonymous and other, making this place equipped in dealing with the addiction epidemic. The nearest drug rehabs are in Auburn, Loomis, Coloma, Roseville and Garden Valley. Rehab centers around here offer detoxification and rehabilitation against alcohol, opioids such as heroin, cannabis, street drugs like cocaine, methamphetamine and other sedatives. These services are highly focused on providing comfort to their clients. There are a few gender specific programs where children up to the age of 12 years may accompany their mothers. Rehab facilities around North Auburn offers rehabilitation services for those people who have been asked by the Criminal Justice System to seek treatment for the purpose of recuperation. Ranging from 12 weeks to 3, 6, 12 and 18 months long programs, the state relies on the rehab centers to incorporate juveniles and offenders in specialized intervention programs for addiction as well as mental health treatment plan. There is a special emphasis on rehabilitation of the DUI(driving under the influence) cases and for them the course of action includes dispatching knowledge about the effects of drugs and drinking on physical and mental states of being and methods of averting another DUI. The rehabilitation facilities in North Auburn have helplines or chatroom style help center where anyone contemplating help can inquire about anything pertaining to treatment. One can also fill up a query form online and the facility counselors will revert back within 24hrs. These centers also have drop-in centers where people can walk in and receive information regarding addiction and the typical course of treatment applied. There are websites specifically for helping people choose which facility may be appropriate for them. They present a thorough list of rehab and detox center in and around a town/city and offers their own assessment counselors, to guide anyone regarding the de-addiction center near them as well as what treatment for a particular addiction may seem like or what to look for when searching for a treatment facility. When one is mentally ready for the treatment, they can decide to approach the ASSESSMENT phase. During this phase, the rehab will answer all questions about the process of the treatment, that is, what must the client expect in terms of the program details, financing options, the duration of the whole process and any other inquiries around healing for a person to determine whether that particular facility can work with you and if they can, to what extent. Proceeding further in this phase, it is mainly concerned with creating a treatment plan specific to the client’s goals and experience. The process includes assessment tasks such as going through the client’s medical information, mental health information along with a physical and mental health examination. The basic aim will be to understand the pattern of usage and the events that led to the present state of being. All of the inquiries will be made in individual session in a private setting to attain a better idea of how to help curb the suffering via treatment. The INTAKE process will be a step further in analyzing the magnitude of damage that the drugs have done. With the aid of some detailed and discreet conversations with the addiction counselors about their lifestyle and life choices, the client will be admitted into a program which best suits their needs. Formal preparations are made for their transition to a rehab facility. A person is oriented to the ways of life in the rehab center and made familiar with their schedule and activities in that institutional setup. Detoxification is the process of gaining freedom against the severe detrimental ramifications of drugs and alcohol. It involves removing virulent substances from the body, deposited due to the long usage of drugs, through medicines and therapeutic methodology in a highly structured atmosphere. This step in the treatment is extremely significant because here, one experiences the symptoms of withdrawal such as vomiting, anxiety, weight fluctuations, hallucinations, insomnia, etc. The rehab facilities ensure that every person is attended to as per their unique needs and form a detox plan that allows them to free themselves the drug that cause them harm. With the help of drug and alcohol counselors, medical staff and social workers, rehab centers aim at making the painful process of detox as comfortable and pain-free as possible. In-house addictionologists monitor all detox activities. Clients undergoing detox are recommended to join counselling groups. Along with medications, individual psychotherapy, physical training and recreational activities, nutritional diet and lastly, group counselling sessions, clients undergoing detox are given full attention, care and compassion through this entire time span. The residential programs around North Auburn are very structured and aimed at creating a supportive environment for addicts of all gender orientations and age groups. Treatment is managed by a team of certified counselors and social workers. A program may range from 30 to 90 allotted days, that includes approaches to initiate recovery in body, mind and spirit. Thus, with the help of Cognitive Behavioral Therapy (CBT) to develop alternatives to earlier harmful and drug seeking habits, the client looks forth to working on deep-seated psychological issues like self-esteem,healthy boundaries, anger management, and work on other triggers that may induce a relapse. Along with the 12-step regime and therapy, clients are encouraged to indulge in physical activities such as outdoor sports and spiritual activities such as yoga, meditation and mindfulness. The in-house chef and nutritionist ensure health restoration. Family education is a major part of recovery. This includes educating families of recovering addicts about what they are encountering and how to give the person their unfiltered support after rehab in order to avoid relapse. Find out more on Inpatient treatment. A significant element in this style of treatment is that along with addiction centric therapy, medical practitioners in the rehab facilities focus greatly on the client’s mental health needs, that is, they move forth with the understanding that a majority of people suffering from substance abuse maybe suffering from mental disorders like Post-Traumatic Stress Disorder (PTSD), Bipolar, Schizophrenia, Anxiety, etc. Hence, these integrated centers provide them individual therapy sessions with psychologists who can help them work with their mental disorder and incorporate a completely separate healing plan that caters to helping the client find better methods to attain solace for their psychological agony in order to stay sober. The outpatient services are befitting for those who do not command round-the-clock care. People who have either completed an inpatient program and wish to continue healing in a structured program or those who cannot forgo their personal obligation for healing find outpatient program a decent fit to their needs. An adult who wish to opt for this receives a one year long package which enables them to utilize the services of licensed and experienced addiction counselors. They may also take part in group counselling sessions as well as evidence based therapy. Few centers have childcare on-site for recovering parents. The significance of an outpatient program lies in the fact that they can mold the program as per their own lifestyle, school, jobs and families. They may even have access to anger management, parenting classes, etc. One very interesting element of this program is that it organizes the healing process for the individuals and loved ones who have been dealing with mental distress and thus, are practicing self destructive behavior. Therefore, they are provided with help in the form of individual and group therapy, family and couple’s therapy, relationship improvement groups, parenting sessions, juvenile anger management, life skills, literacy, etc. An outpatient program is very beneficial for pregnant or parenting women who wish to walk on the road to recovery for a better future. They receive an intensive treatment which lasts an entire year and includes therapy. The entire program is fashioned around supporting these women in their roles as a parent/caregiver. They are guided by helping them develop problem solving skills, assertion skills and food planning. These clients are given transportation as well as on-site child care services. There is significant emphasis on aftercare here and a rigorous network of relapse prevention measures. Understanding that the long journey of treatment is accompanied by psychological, social, physical and financial troubles, aftercare programs focus on navigating through the journey by empowering oneself the right way. Thus, in the case of preventing any relapse, the program comprises of individual, group or crisis counselling, depending on the unique need of the client. The aim is to continuously keep reminding the client to dodge the stressors or to overcome the circumstances that may encourage usage of substances. Hence, the program enables the client to continue to develop healthy and proactive approaches of negotiating with issues. The therapy sessions at this stage revolve around identifying self-destructive patterns in order to destroy any thoughts that may justify drug usage. To attain the desired results, the therapy aims at prevention of compulsive behavior and working on the never ending negative states of mind. To encourage people to keep walking on the boulevard of healing there are Halfway homes, ¾ houses, as well as Transitional housing. Halfway houses are strict structured abodes where one can stay to escape triggers and successfully continue to focus on recovery. ¾ homes are less strict in their conduct and act as the perfect passageway to the new improved life after institutionalized treatment. Transitional housing is directed towards providing clients a supportive environment to solidify recovery. One is allowed only 6 months with them and clients may live with their family members here. They are packed with more amenities than the former two. These sober homes may be comparatively less strict than rehab centers in terms of the way of living, but they at no point abandon their clients in their healing mission. They help the client look for decent jobs and withstand interviews and pre-employment rug screening. Here they can also look for their own sanctums for the future as well as make amends with those who may have been distressed by their addiction. These homes create an ideal sober environment, guiding the people on how to replicate this in the real world.